CHAPLAIN STEVEN RINDAHL: The month of May, we sustained our largest volume of casualties. We were conducting memorial ceremonies every few days, and by the time that month was over, I was pretty well worn out. 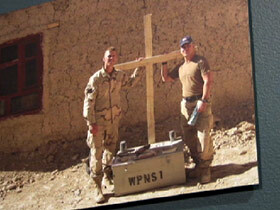 LUCKY SEVERSON, correspondent: Chaplain Steven Rindahl served 15 months in Iraq. Now he’s the chaplain at the Fort Jackson hospital in South Carolina, which is also the headquarters of the Army’s Chaplain school. There are 2900 full and part-time chaplains, and many have served at least one tour of duty in a combat zone, and, like Chaplain Rindahl, been haunted by the experience. CHAPLAIN RINDAHL: We have 17 of our soldiers killed and one of our contracted interpreters, and I did not keep count of how many traumatic amputations and other wounds that caused our people to be evacuated from theater. CHAPLAIN RINDAHL: I realized that what they were saying was true because I would hear footsteps outside in the gravel, the crunching noise, and I would just be terrified that somebody was coming to tell me about another casualty. CHAPLAIN MIKE DUGAL: Across the board we have recognized that we do have chaplains that have experienced combat trauma. 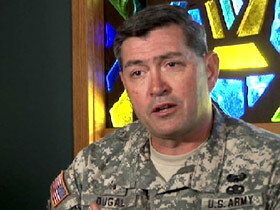 SEVERSON: Colonel Mike Dugal is the Chaplain Director for the Center for Spiritual Leadership at Ft. Jackson. The center opened in 2008 partly in response to the realization that, like soldiers, chaplains also suffer the trauma of combat stress. CHAPLAIN DUGAL: We do have chaplains that are going through the same psychological and traumatic events that our soldiers are going through. It is hard to be empathetic and to show compassion to our soldiers and to see the brokenness, to see the carnage and that not to affect you. SEVERSON: According to the army, since the beginning of the war in Iraq and Afghanistan, it’s chaplains have served a total of more than 20,000 months in combat zones, some have gone on as many as eight tours of duty. One survey revealed that 20 percent of these chaplains had suffered compassion fatigue or some sort of PTSD. Like the soldiers, these chaplains are often in the heat of battle where death is very real and the casualties are friends. 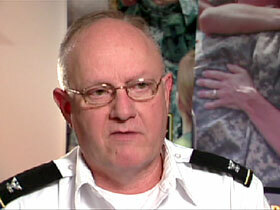 Lieutenant Colonel Graeme Bicknell is not a chaplain, but he is an army expert on compassion fatigue. LT. COL GRAEME BICKNELL: It can be nightmares. It can be lack of desire to eat, sort of feeling sad, sadness, avoiding certain behaviors because it reminds you of what happened. SEVERSON: He says it’s understandable that chaplains would experience compassion fatigue. 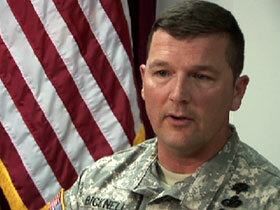 LT. COL BICKNELL: The more empathic a person is, the more they’re able to relate to somebody or be in their shoes. The more vulnerable they are to compassion fatigue. And I think that with chaplains, that empathic relationship is incredibly important to be able to benefit the soldier. CHAPLAIN JOHN READ: I guess I first learned in a profound way how trauma can damage the soul when I was clinically trained at Brook Army Medical Center. 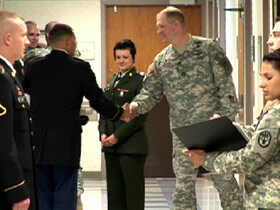 SEVERSON: Chaplain John Read is the army’s Director of the Soldier and Family Ministries. CHAPLAIN READ: You see the gun shot wounds, the stabbings, the burn patients, all the volatility of the kinds of things you see in a war zone. I mean I recognized there, as a clinically trained chaplain working in a hospital setting how that would affect me in terms of questions of life, death, grief, loss. The things that profoundly become kind of moral, ethical, spiritual aspects of our lives. SEVERSON: He tells of seeing the body parts of 38 little Iraqi kids blown up by a terrorist bomb right after learning he had just become a grandfather. And of the soldier who died in his arms. CHAPLAIN READ: He had just become a naturalized citizen two months before his death, killed in a rocket attack. I held him in my arms as he died and gave him, recited a prayer from his specific faith that he was from, and the peaceful look on his face as he thanked me and died, I will just never forget. But there isn’t a day that I don’t wish that he could somehow be with his wife and kids. SEVERSON: One thing that often comes through is the deep, abiding respect and fatherly love these chaplains have for their soldiers. CHAPLAIN DUGAL: It is natural for chaplains to weep with those who weep because a lot of these kids, most of these kids are the age of my youngest son and I’m a father to them. There are times that when I reflect about the cost that our military has paid since 911, I’m grateful that I had the opportunity to be with them. Because it is an honor. SEVERSON: And it is not only the soldiers chaplains weep for — it’s the soldier’s families. CHAPLAIN READ: The chaplains that go out and do many notifications, supporting the casualty notification process and the death notifications. It’s a heavy load to bear. And so at some point in time, invariably they have to re-engage themselves in a meaningful way to move in and through and beyond that. SEVERSON: That’s where the chaplain’s school and the Center for Spiritual Leadership come into play. They get training here, discussion groups, reading lists, counseling. There’s a chaplain museum tracing back to the Revolutionary war. It was George Washington who first dictated that each regiment should have it’s own chaplain. CHAPLAIN DUGAL: When pain and suffering is very real, soldiers know that they can turn to the chaplain. SEVERSON: Chaplain Greg Cheney served in both Iraq and Afghanistan. He says there was a time when what he experienced in combat challenged his faith. CHAPLAIN GREG CHENEY: Definitely, I mean when you go through that kind of extreme circumstances, there were times when I would, you know, question God and ask God what’s going on. Yeah, it’s one of those experiences where everything doesn’t make sense when it’s happening. SEVERSON: Ultimately, he says, his faith actually grew from his combat experience. CHAPLAIN CHENEY: Even when I was going through that, I felt an amazing sense of calm in those situations as I ministered to those soldiers, and I know that that could not have been anything from myself, it was only God, you know, Jesus Christ working through me to touch these soldier’s lives. CHAPLAIN DUGAL: I would definitely say that my faith has developed and not to the point of questioning the existence of God, but having to deal with the reality of pain and suffering and realize that there are no just simple answers. CHAPLAIN RINDAHL: If you think about what Christ did for humanity. He left a place of ultimate privilege in order to take on a hardship and ultimately sacrifice himself for people who didn’t know him. And soldiers take upon themselves the obligation to leave the most privileged county in the world and be willing to sacrifice personal comfort and, although not intending to sacrifice their own life, at least be willing to. SEVERSON: There’s a phrase that’s become quite common among veterans, and among chaplains, of the Iraq and Afghanistan wars. It’s called “the new normal.” It means that their lives are never going to be quite the same as before. CHAPLAIN READ: Sunday school teachers I had had as a kid growing up who kind of always celebrated my journey, said you’re not the same. And I would say, reflectively, how am I different? Well, you’ve seen things that none of us will ever see. We can see that in your eyes. 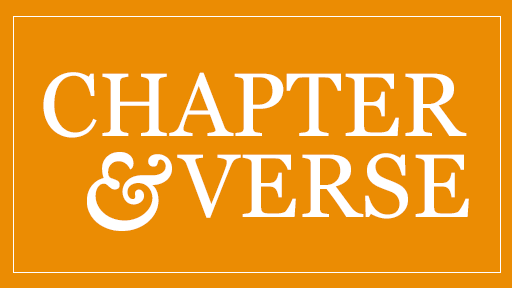 SEVERSON: For Religion & Ethics NewsWeekly, I’m Lucky Severson in Crystal City, Virginia.